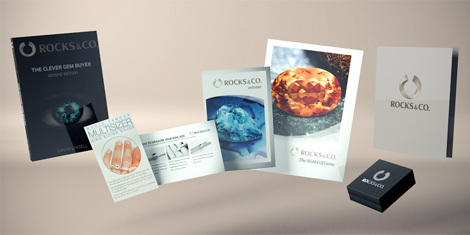 Birthstones | Gemstone information at Rocks & Co.
Back Home Gemstone Information Birthstones | Gemstone information at Rocks & Co. While the popular custom of wearing birthstones originated in Poland around the 15th century, birthstones first became part of Western culture through the breastplate of Aaron (Exodus 28:15-30). Also known as the ‘breastplate of judgement’, this was a religious garment used for ceremonial purposes by Jewish priests. It featured 12 gemstones, representing the 12 tribes of Israel, which also corresponded with the 12 signs of the zodiac and, as reported by the historian Josephus around 200 AD, also the 12 months of the year. As it can be pretty hard to tell the difference between gems of the same colour without the benefits of scientific gemmology, gemstones were not always classified by mineral species. As many gems were once confusingly known by the same name based on their colour, there is some debate about which gemstones were actually set in the breastplate. This has seen different birthstone lists emerge, depending on where and when they were compiled. The first ‘official’ birthstone list was issued in 1912 by the Jewellers of America (formerly the American National Association of Jewellers). Included opposite are the birthstones established in 1952 by the Jewellery Industry Council, which were revised by the AGTA (American Gem Trade Association) in 2002. While you can choose a birthstone based on a birthday, anniversary or any other significant date, did you know that birthstones were once worn each month by everyone? In the middle ages, it was believed that the powers of each gemstone were heightened during its month. This is great news for gem connoisseurs, as it gives us a good excuse to collect the full set, wearing them throughout the year!